The Chronoscope Hamburg is a time machine to explore the historical topology and development of the city of Hamburg. It offers nine historical maps – dating from 1590 to 1937 – in an online maps application. It was necessary to align the maps to display them with high precision on top of today’s map. The web app provides controls to zoom into the details on street and canal level, and to compare the maps across centuries. Version 1 of the Chronoscope Hamburg became operational in October 2016. Since then, it was utilized in several other use cases. It gained flexibility, robustness, and interoperability features. 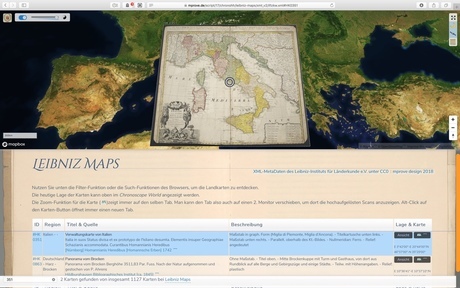 For instance, the Chronoscope World offers access to more than 1,100 historical maps world wide by incorporating openGLAM meta data of the Leibniz Institut für Länderkunde. The Chronoscope is one of the projects that were developed during the cultural hackathon Coding Da Vinci Nord 2016. One of the contributing institutions was the Hamburg State and University Library Carl von Ossietzky. The first step to dive into such a project is a content audit. What's there? How many? How to access the data and meta data? Are there any obvious or faint patterns or structures that will eventually lead to a product concept? After spending some time browsing the data, the ideas start to pop up just by themselves. Early prototypes became operational on October 5, 2016. The app is based on google maps and displays four selected maps for the years 1694, 1803, 1867, and 1905 for the official release 1.0. The maps have been geo-referenced in a tedious manual process with a photo editing tool and several semi-transparent layers. It is a deliberate design discission for the Chronoscope to work as a personal research medium. There are neither guided tours nor info boxes that distract the user from her own personal journey through space and time. It is one of Chronoscope’s key strength to support a self-paced discovery of streets and locations that resonate with the user’s curiosity and her own urban experiences. a sufficient feature set to explore Hamburg’s history based on maps that are roughly 100 years apart from each other. 1867 has been added to show the time when the railway reached Hamburg and when Hamburg has been rebuild after the big firestorm in 1842 [bonus map]. ChronoLinks to share historical perspectives with friends in social media. Marine Lives Project is an Independent project that has transcribed more than 10.000 pages of the High Court of Admiralty in London of the 1650s. In specific, 60 residents of Hamburg have been identified by name, address and occupation. As an experimental feature, the Chronoscope shows the streets were they have lived. 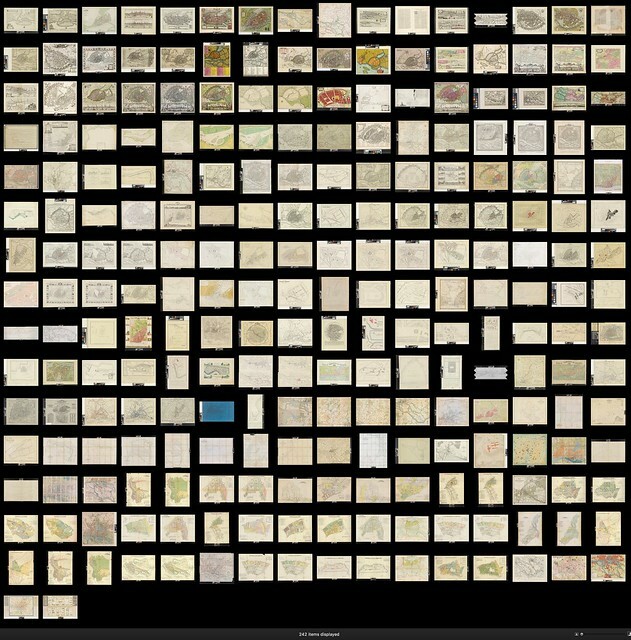 3 additional maps: 1590, 1657, 1694, 1803, 1867, 1905, and 1937. The load times have been reduced by scaling down the maps to 4096 pixels width at maximum. This was also a constraint posed by WebGL for iOS. The use of tile servers for the maps has been evaluated; but performance and display quality are not convincing (at the moment). Several 100s of control points have been specified to stretch and bend the 7 maps until they match the actual topology. Background map and satellite images are provided by mapbox tiles server. Navigation constraints to North Germany, i.e. it is possible to zoom out to see the North and East Sea for the regional context; but the user never gets lost in the middle of nowhere. Two groups of controls are offered on the top and right edge of the window or screen. The first group is for selecting the year and the transparency settings. A welcome page provides some background info on the maps. The first control group is moved to the bottom edge of the screen in order to prevent covering the screen with the hand on small screens, and to avoid reaching high on wall-sized displays. A chrono cursor can be set on any location. The view parameters can be shared by Victoria’s popup panel or by sharing the URL directly from the address bar. The compass is only active on mobile devices a few moments after the user has geo-located herself. Long touch and tilting the mobile device is introduced to change the map’s bearing angle. According to Bill Verplank each user interface is either plan or map. A plan UI provides instructions to accomplish a certain task, while a map user interface shows the entire landscape (metaphor!) and leaves it up to the user to form a mental model and make her steps. Another example: for desktop applications, the menu structure is a map user interface that presents all possible commands – on the other hand a wizard is a plan UI because the user is guided to take the commands in a predefined order. Both flavours of UI are valid approaches for certain scenarios. But they provoke a different kind of user experience. The Chronoscope has a map user interface – metaphor and subject are hard to distinguish in this case. But just imagine the historical maps combined with a story-telling approach. Then the user is infotained with historical facts and gossip; but she is less engaged to control the parameters of the map-based time machine. Speaking with Marshall McLuhan, the Chronoscope is a cold medium – cold like in cool jazz. The user has to complement and complete the experience with her own perspective and emotions. In Understanding Comics Scott McCloud calls it closure. The reader of comics has to close the gaps between the images by filling in the missing pieces with her imagination. Graphical novels are a cold medium, while movies are a hot medium. There is no need to use your imagination to complete the story. Another dichotomy is lean back vs. lean forward. You lean back to watch TV, a hot medium. You lean forward to read a book, a cold medium. A cold (lean forward) medium is generally more immersive than a hot medium because the degree of mental participation is higher. By design the Chronoscope should be a cold medium that is engaging and offers a lean forward experience. The user constructs the story by using the time machine to see how her urban neighborhood has changed over time. This personal relationship between the user and the tool is the precious quality of the design. An app without a social life is not an app. Without users or a community it can be considered a nice prototype, at most. Therefore a hashtag #chronohh was established right from the beginning to share updates on the development. #eculturehh is used for a more general reach. In March 2017 a facebook page was launched; and since mid of April 2017 the Chronoscope is accompanied by a a mini-blog on tumblr Chrono Hamburg and it’s alter ego ChronoHH on twitter. However, the objectives and goals have to be adjusted for a successful social media strategy. While the Chronoscope itself offers a self paced exploration, the social media channels have to continuously offer fresh content. This is done by sharing and retweeting content of other eCulture or historical Hamburg sites [cf. Chrono Hamburg Archive]; and it requires an active community managements. After a month twitter has gained 100 followers (300 after a year / 370 in 9/2018), while facebook falls behind with 50 Likes after the first 2 months of being (100 after a year / 125 in 9/2018). An active ecosystem of people and projects is mandatory for a sustainable preservation of openGLAM artifacts. The following three scenarios show how the Chronoscope becomes a reliable and connecting tool. The Chronoscope Hamburg is the only map service that offers a bridge between google maps, google Streetview, Microsoft bing, OpenStreetMap, Apple Maps and Hamburg’s GeoPortal with historical plot maps (Vermessungskarten). Each map service has certain advantages in the level of information it presents; but until now it was quite difficult to use all of them for an orchestrated research project. In this situation Chronoscope can be used as a hub to mark a location and then jump to one of the other map services for further research. This feature turned out to be extremely useful during the research phase of Dransfeld Reloaded to retrieve spacial info on buildings that have not been properly identified by Hamburg State and University Library. Meanwhile the eFoto Hamburg project uses the Chronoscope as a research tool to identify photos with unknown locations. ChronoLinks can be used to share specific locations on old maps with friends right from the beginning. Their persistency makes it possible to store them and to use them as hyperlinks to provide historical geo information; e.g. Hamburg residents from English High Court of Admiralty records in the 1650s. The October 2017 update of the Chrono API added the ability to remote control the map. This is used to show the location of several buildings and monuments in the Stadtpark Hamburg. The third level of integration is a live update in a photo gallery’s lightbox mode for the project Hamburg 1883 Koppmann Reloaded. Here each image is geo-tagged with a ChronoLink in its description. The info is parsed and used to update the Chronoscope plug-in. The photos are sorted along a virtual walk around the district; hence it creates the illusion of a continuous flight from photo to photo. This supports the understanding and orientation of the visiting user on the virtual time travel through an urban area that does not exist in this form anymore. Think of McCloud’s notion of closue. In addition, previews and high screen resolution images of the maps can be displayed like all the original maps in Chronoscope Hamburg. The map images are provided by an IIIF zooming image server. The more projects that make use of the Chronoscope, the stronger the demand to keep it up and running. This is part of a lasting strategy for the future. Don't build silos with #openglam data – build #eculture platforms! The following diagram shows Chronoscope’s system architecture including the external IIIF image server and the database of Leibniz Institute für Länderkunde. 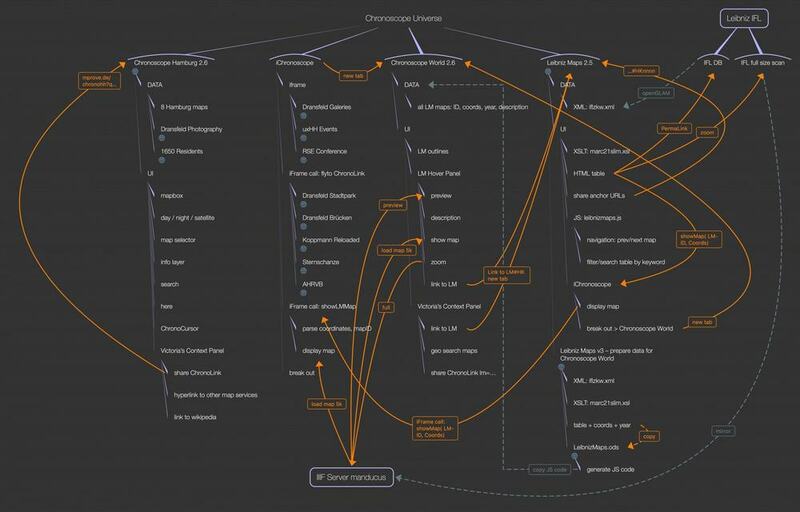 The branch iChronoscope covers the Cronoscope-as-a-service scenarios. 6 week duration – it takes some time to develop good concepts and implement functional prototypes. This is a huge advantage compared to the usual procedures of common hackathons that last just one intense weekend. collaborative and competitive access to open cultural data – the data is (already) open, but the special setting adds some positive pressure to create an interactive site or app to the items or datasets. At the same time you are supporting the openDATA/openGLAM movement by good projects and thereby making the data comprehensible and accessible for many. 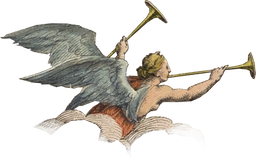 awards – The author of this article won the award for The most unusual use of data for Sound of the Universe. Definitely a reason to be happy – but this should not be the driving factor to participate in such a hackathon. the historic correct location of the Sternschanze has been retrieved by aligning 53 maps. [Update 7/2018] updates to the XML MetaData by Leibniz Institut für Länderkunde are being negotiated. PSoemers: One example of the great value of OpenGLAM - and a very fit-for-purpose at sharecarex in Hamburg! See you soon!